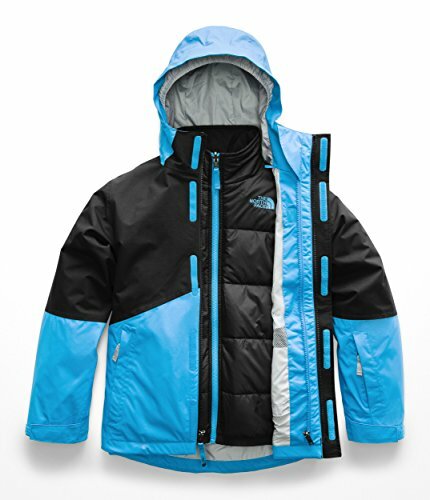 The North Face Size Chart Teach your tot how to ski, or tackle the sledding hill, with this new three-in-one snowsports jacket.Shell HyVent® 2L fabric features a durable, waterproof outer layer paired with a breathable, polyurethane-coated inner layer that allows water vapor to escape. Fully seam sealed to keep the moisture out. Removable, adjustable, helmet-compatible drop hood. Long sleeves sport hook-and-loop adjustable cuffs. Brushed collar lining. Zip Napoleon and hand pockets. Zippered pocket at left forearm with goggle wipe. Drawcord hem for a dialed-in fit.Removable Inner Jacket Lightweight and warm fleece jacket. Stand collar extends protection. Full-zip front closure. Dual hand warmer pockets. Straight hemline. Although this jacket is not reversible, it is shown reversed in the multiview to display its internal features. ShellHyVent® 2L 100% polyester.Main Body Lining: 100% polyester.Shell Contrast & Lining 2: 100% nylon. Removable JacketBody & Lining: 100% polyester fleece. Machine wash warm, tumble dry low. Imported. Measurements: Length: 29 1⁄4 in Product measurements were taken using size XL (18-20 Big Kids). Please note that measurements may vary by size. Be ready for conditions to change on a dime during all-day outdoor exploration with this 3-in-1 layering system that pairs an ultralight stretch shell jacket with a zip-in PrimaLoft ThermoBall jacket that's crafted with lightly insulated PrimaLoft sleeves. 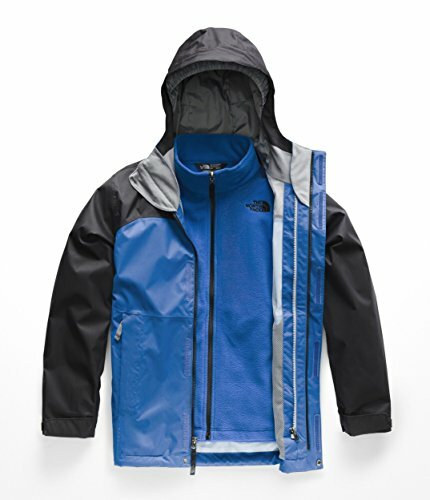 Wear these jackets together in cold, wet conditions or separately as weather permits. 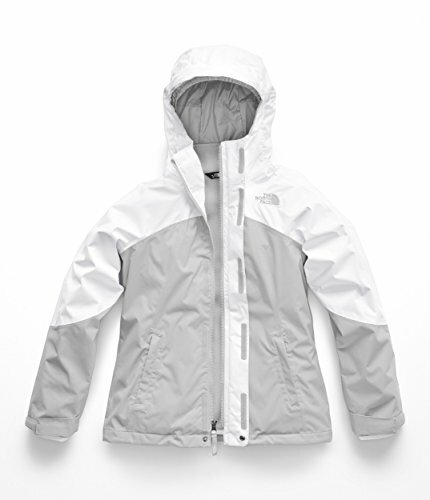 Designed with the same technical fabrics as the adult counterpart, this versatile 3-in-1 jacket pairs a waterproof shell jacket with a removable, fleece liner jacket. She'll bundle up in both jackets when it's wet and cold, or wear them separately as the weather permits. 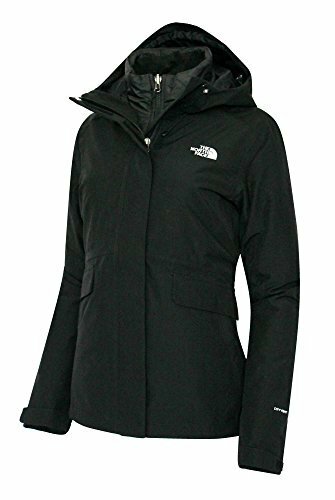 The North Face Size Chart A versatile weatherproof jacket that'll have your little adventurer out on the slopes from dawn to dusk. DryVent™ 2L fabric features a durable, waterproof outer layer paired with a breathable, polyurethane-coated inner layer that allows water vapor to escape. Compressible, 105 g Heatseeker™ synthetic insulation delivers lightweight, reliable warmth without the bulk. 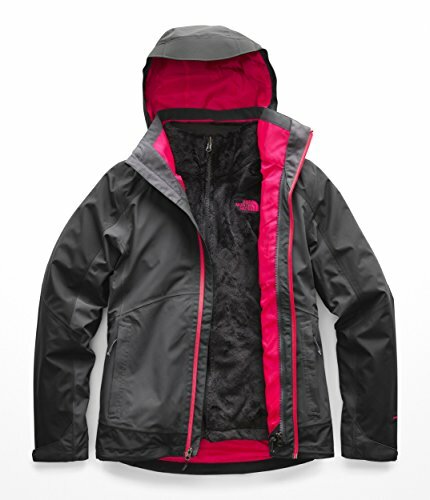 A 3-in-1 jacket that pairs a waterproof shell with a zip-in insulated liner jacket. 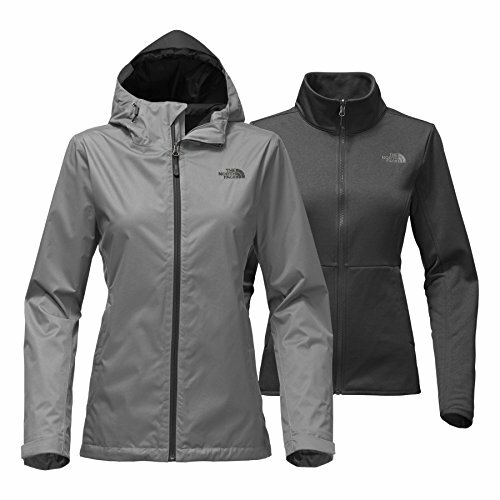 Zip-in-compatible integration with complementing garments from The North Face®. Attached hood with internal elastic lining. Full zip closure with hook-and-loop close storm flap. Internal media pocket. Secure-zip pass pocket on left sleeve. Zip close hand pockets. Adjustable cuff tabs. Stabilized hem with drawcord system. Drop-tail for additional coverage. Multiple color design options. Branding on left chest, sleeve, and back right shoulder. 100% polyester;Lining: 100% polyester. Machine wash, tumble dry. Imported. Measurements: Length: 28 1⁄2 in Product measurements were taken using size LG (14-16 Big Kids). Please note that measurements may vary by size. 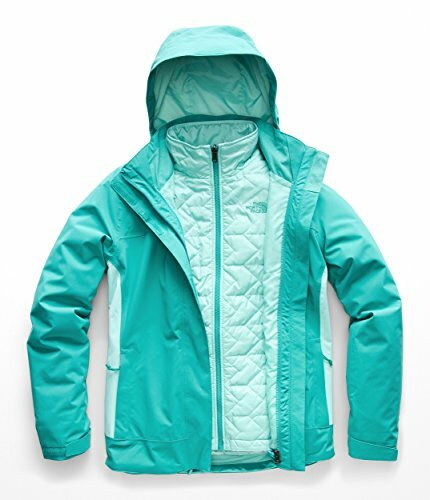 Looking for more Triclimate Ski Jacket similar ideas? Try to explore these searches: Antibiotic Therapy, Platform Mounting Bracket, and Grill Stands And Carts. Look at latest related video about Triclimate Ski Jacket. Shopwizion.com is the smartest way for online shopping: compare prices of leading online shops for best deals around the web. 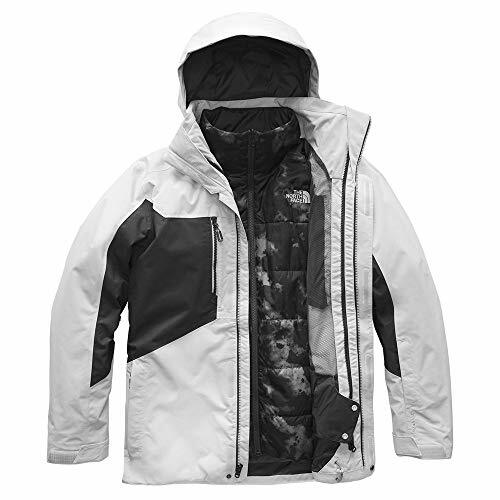 Don't miss TOP Triclimate Ski Jacket deals, updated daily.